What happens when you get caught doing something illegal, unsafe or just plain dumb? The simple answer is, it depends. Did your action create a hazard? Was it intentional or accidental? Did you take immediate action to correct the issue? Was this your first offense? What was your attitude in discussing the issue with authorities? All of these factors play an important role in determining how big a deal it is with the FAA and what, if any, enforcement action is likely to be forthcoming. But, you ask, what COULD the FAA do to me if I went astray of the regulations? What is the extent of their powers to punish? Can they put me in chains? Take my airplane? Fine me a million bucks? Or, worse yet, take away my Snapchat account? Well, no, they can't do any of those things, but there are some things they can do. Let's start with the most gentle and work our way up (or down) from there. The FAA calls mistakes, procedural errors or violations of regulations “pilot deviations.” Some of these deviations are dealt with at the local level. Let's say you enter Class D airspace and make your first call to the tower when entering downwind. To make matters worse, you're instructed to extend your downwind to follow a King Air on a three-mile final, but you make a short approach and land first. After you land, tower gives you a telephone number and asks you to call them, resulting in an uncomfortable conversation with a controller about radio procedures, following instructions, Class D procedures, things like that. If you're contrite, apologize for the mistake, state that you did not understand the instruction to extend, accept the criticism as a learning experience and generally act like a human being, there's a chance the matter could end right there. No harm, no foul. But let's say you're a jerk. Let's say you call the tower and get into a certain kind of contest with the controller. You remind him that you were Pilot in COMMAND, had plenty of time to land in front of the King Air, and, besides, you pay his salary and don't need to be lectured to by some high-and-mighty twentysomething with a god complex sitting in an air-conditioned cab at taxpayer expense. Let's say you said that. Suspecting an attitude problem and a poor approach to safety (ya think? ), the controller will likely escalate the situation to the local FSDO (Flight Standards District Office) for action. The FAA inspector assigned to the case will need to determine just how to deal with you and will take your attitude, good or bad, intentions and willingness to learn very seriously in deciding what level of enforcement is most appropriate. Let's say you've calmed down during the days since your chat with the tower controller, express remorse and have joined the human race again. In that case, there's a chance the matter will be handled through an administrative action. If, on the other hand, the inspector determines that the act was intentional, not your first offense, part of some criminal activity, or that your attitude exhibits a poor approach to safety, well, things could go bad for you. Administrative actions come in two flavors: Warning Notices and Letters of Correction. A Warning Notice will detail the mistakes you made, the violations of the FARs, things like that. The notice will warn you against future violations and state that no further action will take place. This notice will be mailed to you and will become a part of your permanent record. The matter will be considered closed but will be referred to in the future if you break another rule or get caught doing something you shouldn't. A Letter of Correction, on the other hand, will be issued if you've completed, or agree to complete, a course of remedial training or counseling. Sometimes the FAA will want you to take X hours of additional instruction or may require you to do something else to increase your knowledge or understanding of the affected regulation or procedure. This, too, becomes part of your permanent file. If you succeed in ending the matter with one of these two administrative outcomes, thank your parents for raising a respectable human being with a good attitude. Things could have gone a lot worse. For example, if the FAA inspector picks up on the same bad attitude you showed previously, things could get painful. Since you indicated to the tower controller that you landed in front of your traffic intentionally, that it was not an inadvertent error, and that you're not at all sorry for it, odds are pretty good that a hammer of some weight is going to land on you. Just how big a hammer depends on your ongoing discussions, the facts of the case, and your continuing attitude (there goes that word again). The FAA has three options besides the Warning Letter and LOC in dealing with you. One, they can take a certificate action and suspend or revoke your pilot privileges for a specified period of time or permanently. This is a common practice, particularly if the offense involved violates a specific FAR, was intentional or repeated, or if the inspector thinks your approach to the situation was less than cooperative. A certificate action is also likely if the FAA suspects that you lack the basic skills to continue acting as PIC safely. Part of any FAA enforcement action could be a request for you to take a re-examination ride with one of their inspectors. This “709 ride” is often done when the FAA suspects that you lack the skills, knowledge or technical ability to act safely as a pilot. This often comes after an accident or a violation of the regulations that leads the inspector to think that a specific re-examination of your piloting skills is in order. As a side note, 709 rides are also given to pilots who took and passed practical tests with designated examiners who the FAA suspects were not properly examining their applicants. In either case, re-examination rides with the FAA can create great stress for the pilot but can also result in tremendous learning experiences. Pass this 709 ride, and you're golden. Fail, and the FAA could move to suspend or revoke your certificate. The third option the FAA has is to slap you with a hefty monetary fine. This is not usually the preferred option, since it does nothing to evaluate your flying skills or attitude, does not remediate the error, and by itself leaves your flying privileges intact. These “civil penalties” are normally assessed against companies that violate the FAR, not individuals. Administrative or certificate actions are far more common against pilots, but a big hit to your wallet is always a possibility. There is much talk in the press about the FAA's new “kinder and gentler” approach to enforcement. While it's true there is a new compliance enforcement philosophy taking hold at the FAA, it is not true that the authorities are getting lax or have gotten more likely to just let things slide. No way. What they have done is considered the net effect of their enforcement actions for each case, with the goals of improving communications between the FAA and the pilot community and creating a system that is most likely to improve safety overall. If additional training is seen as more effective than a certificate action in disposing of a particular case and making that pilot a safer aviator, then that's the course they will take. They do not automatically go straight to pulling a pilot's certificate if they think another course of action will create a better outcome. While administrative actions have become the default response to many pilot deviations, make no mistake, the FAA is dead serious about improving safety. If they think a pilot lacks the skills, knowledge or attitudes necessary to be a safe aviator, they'll move against that pilot's certificate and suspend or revoke his or her flying privileges. For more detailed information about the FAA's new compliance enforcement philosophy, go to https://www.faa.gov/news/safety_briefing/2016/media/SE_Topic_16-10.pdf. There is a way to protect yourself, at least somewhat, from FAA enforcement actions if you mess up and do something wrong. The FAA has worked together with NASA to create something called the Aviation Safety Reporting System (ASRS), again with the goal of improving communications and enhancing the safety of flight. This system was designed to identify risk-intense “hot spots,” areas and operations that can lead to inadvertent pilot deviations and to address those deviations in a way that best improves safety. Here's how it works. Let's say you clip the edge of Class C airspace while flying cross country from A to B. You didn't mean to do it, it was an accident, and you realized what you did and took corrective action. 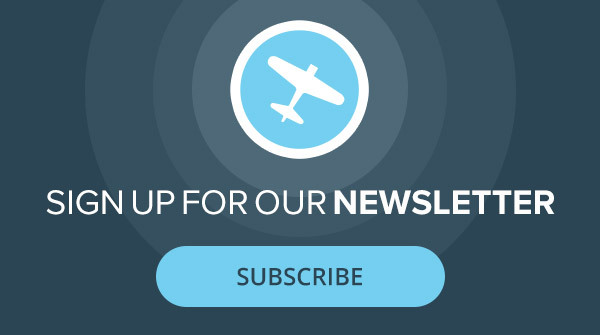 If you fear you may be subject to FAA enforcement, you can log on to the ASRS website at https://asrs.arc.nasa.gov/report/electronic.html and click on the General Report Form link. 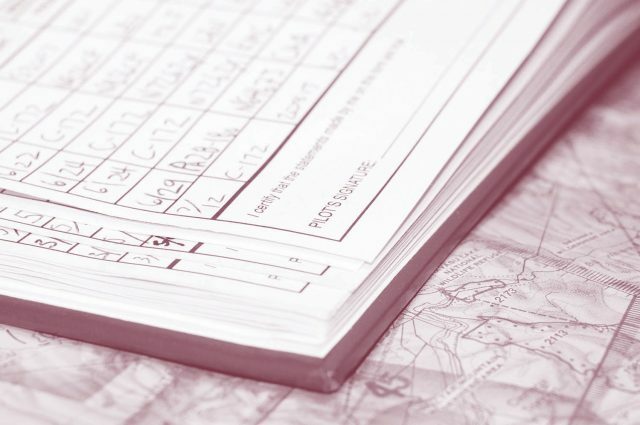 Fill out the fields, citing your contact information, pilot experience, the time and place of the deviation, and what you think you did wrong. Once you file this form, you will most likely not be subject to any FAA enforcement provided the deviation was accidental, the pilot has no previous record of infractions, and there was no associated criminal activity. Some have called this program a “get out of jail free card,” but that is not necessarily the case. 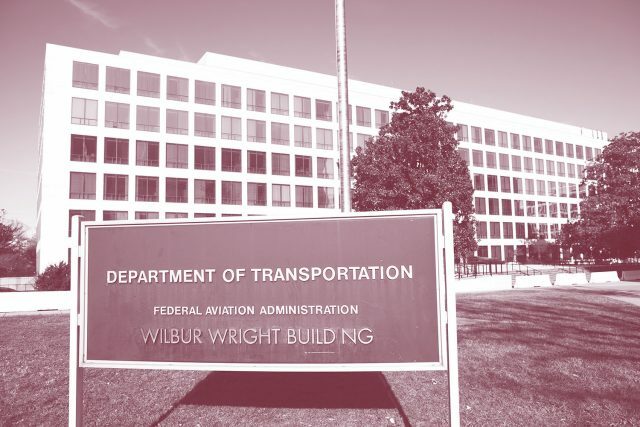 If the FAA feels that the violation was not accidental or that the facts of the case disqualify the pilot from ASRS protections, then the simple act of filing the “NASA form” may not provide the desired protections. Still, when in doubt, fill out the form and keep a record of the filing to present to the FAA in case you get that dreaded call or letter advising you of a pending action. It just could save you a lot of trouble. It's important to note that the information filed on this form remains confidential. The FAA has no access to it and cannot use the information provided to pursue enforcement actions. NASA was selected as a third-party holder of this information precisely to prevent any other government agency from using the information against the pilot making the report. The government's goal in creating the ASRS was to collect data on potential problem areas so that discrepancies and deficiencies in the ATC or airspace systems can be identified and resolved from pilot and other user input. So far it's worked very well, with over a million reports filed. So, what's the takeaway from all this? If you violate a reg or otherwise do something unsafe, the FAA has a range of actions they can take to make your life miserable. Your attitude and approach to the deviation matters. A lot. No, they can't take away your plane or Facebook account, but they can do plenty of other things. It's probably best to stay on the right side of the authorities by taking some common-sense steps to minimize the chances of committing a violation in the first place. Stay current. Pay attention at all times. Don't take shortcuts. Keep reading and studying (knowledge is power). Plan your flights down to the last detail. Think safety. And if you do all that and still find yourself doing something dumb, file that NASA report and keep your fingers crossed. I understand the one example of not following ATC’s order to extend your downwind an fall in line with the King Air. I also see several safety issues by cutting the downwind short to land in front of the King Air. Explain the “clipping the edge of a Class C” airspace. How far into the Class C do you have to penetrate to be in violation? What if the wind changes and you drift in for a few moments and correct the course to exit the airspace? Do you notify ATC for those few seconds or remain silent? Thanks. They most certainly can and will put you in chains. Just recently, they had the US Attorney indict some airline pilots on felony charges for not answering the Orwellian “have you ever in your life” question about disability benefits on the 8500-8. These poor pilots were both disabled veterans who probably feared losing their medical and jobs if they disclosed. Neither had their disabilities for something dangerous that would have put passengers at risk. They were from injuries from serving our country. Now their lives are ruined and their careers over. You better believe they will criminally charge for something pretty minor. The FAA is just as evil and vindictive as they ever were. That’s why I won’t even attempt to get a medical. I have a complex medical history, and I don’t want to end up with the FBI at my doorstep for something I forgot about from 30 years ago. You’re misleading pilots by not mentioning the possible criminal charges from violations and asking them to incriminate themselves by being honest and cooperative. The last thing you should do is admit something to the FAA. Your first call should be to your attorney. I’d imagine any aviation attorney will tell you the same thing.